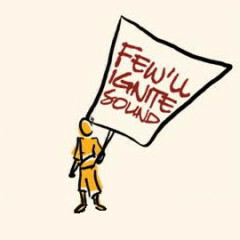 Monday, March 31st, 2014, Final Thought: Sparks from Few’ll Ignite Sound. A photo of a bad smog day and a clear blue sky day -- same location, same angle. Why is Beijing’s air quality more atrocious with every passing year? Everyone must breathe — rich and poor, weak and powerful alike — so everyone is affected by this situation. This, in and of itself, should push authorities to quickly restore order to this urban bubble we all live in. After all, their families are here too. Everyone is breathing, even their children. The band-aid of filtered indoor environments for the privileged does not cure the ailment. Beijing’s air is making Beijingers sick. The cure is action. China is a country in which the concept of “face” is extremely important. In light of that, why aren’t Chinese leaders more embarrassed by air pollution? Temporarily removing smog during important city-wide events belies some embarrassment, but it is no way to truly “save face;” it’s more like a “reverse smoke screen” of blue sky to distract visitors from the real smoky truth of perpetual smog. True humiliation about this situation is in due order to ensure that change happens. Take the 2008 Olympics, for example. Factories were told to shut their production during the games and the skies were mostly blue while Olympic fever raged. Beijing appeared to the rest of the world to have less of an air quality problem than was originally thought. China saved face. Similarly, and more recently, let’s examine the National People’s Congress meetings that took place a few weeks ago here in Beijing. During that week, we residents experienced five solid days of beautiful skies and crisp spring sunshine. Despite taking place indoors, its VIP participants could step outside during break times and were able to breathe freely without a facemask, smiling up at the welcome blue of Beijing skies alongside of the common people. Perhaps this helped assuage their wills into making better decisions for the country? Or, perhaps more simply, keeping the air a deceitful blue avoided generating more doubt about the central government’s efficacy at solving other national issues. 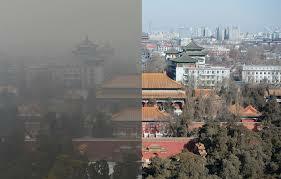 When the meetings were over and the delegates had left Beijing city limits, smog rolled back in again. Nothing had truly changed. Seems that China is saving face at the expense of our lungs. With such an environmentally epic problem occurring in the government’s own backyard, can these leaders be trusted to take any environmental change seriously? Is there any concern whatsoever about the health of the citizens? 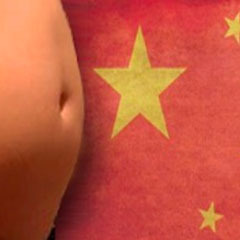 Isn’t this “the peoples’ republic of China”? Shouldn’t the survival of the people be front and center? And if it’s only money that speaks, the costs to the healthcare system from air pollution related illness and disease is staggering. At this rate, these costs will only continue to rise. But if you want to further examine the economic impact of the government’s lethargy on this issue, consider the fact that many foreign experts and professionals are choosing to forgo Beijing business opportunities as a result of the smog. It was recently reported in The Beijinger that that the American Chamber of Commerce in China’s annual Business Climate Survey “revealed a sharp increase the past few years in businesses that are having trouble recruiting or retaining talent because of China’s air pollution. 48 percent of businesses said they experienced such problems, up from a mere 19 percent in 2010.” At this rate, Beijing will very quickly have a figurative new layer of smog on its hands in the way of economic downturns due to reduced business development, with or without the city’s constant push for urbanization. After all, who would want to bring their families into such a hazardous environment? While those of us who have been living here for a long time can invest in air filtration units in the home or office (or to send our children to schools that are equipped with air filters), those who are only temporary to the city will not be as fortunate. If this trend continues, Beijing will start to feel a lag in its global positioning as a metropolitan magnet — a reputation it has enjoyed economically and socio-politically for the past decade plus. A task force for air quality has been assembled here in Beijing, but it seems far too passive an operation. Simply discussing the issue and/or doing national research on the problem rather than barrelling forward with changes (as is the Chinese urban method) just keeps the skies dirty. This problem is in the government’s hands. Clear the skies, Beijing. It’s a matter of survival.